5 Bedroom Semi Detached House For Sale in London for Asking Price £1,400,000. A fabulous, four storey, semi-detached, Victorian townhouse with a wonderful, long garden extending to 90 ft and off-street parking. The house has lovely period features such as fire places and wooden flooring and two floors of living space with a room on the lower ground floor that could be used as a third reception room or fifth bedroom. 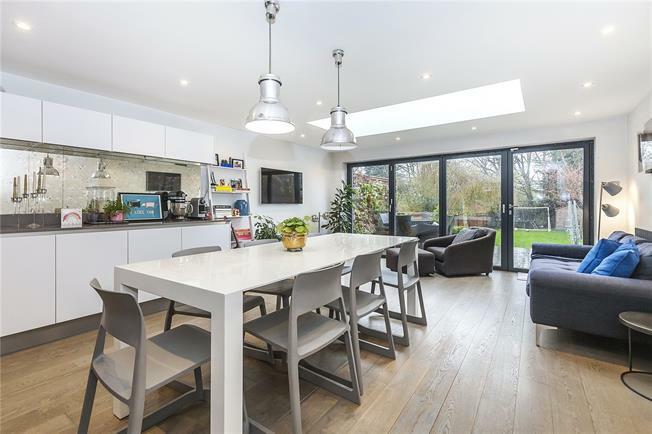 It has a stunning kitchen/breakfast room with bi-fold doors leading to the west-facing garden. Wood Vale runs between Lordship Lane and Forest Hill Rd and is within easy reach of all the excellent Dulwich schools. The nearest stations are Forest Hill and Honor Oak with connections to the City via London Bridge and Canary Wharf via the London Overground. Peckham Rye is an easy bus ride away with the same connections, including the Overground, and also trains to Victoria.